Here's where to watch every episode of Hazel season 3. Mouseover or tap an episode to see where to stream it. Click or tap the play icon to stream it on the best available service. An Example for Hazel Sep 26, 1963 George hopes that Hazel will tone down her brazen ways after meeting his shy spinster cousin. You Ain't Fully Dressed Without a Smile Oct 10, 1963 A desk that may or may not have belonged to Abraham Lincoln is given to George as a gift. Cheerin' Up Mr. B Oct 17, 1963 Dorothy goes away for a couple days to visit her sister and George gets down in the dumps so Hazel tries to cheer him up. Hazel Scores a Touchdown Oct 31, 1963 Fueding football owners become the object of Hazel's obsession, she's determined to bring them together. George's 32nd Cousin Nov 7, 1963 George's distant cousin moves in and Hazel quickly becomes sick of her and tries to get her to move out. All Hazel is Divided Into Three Parts Nov 21, 1963 Hazel wants to do something to help some poor children so she presents a charity auction. The Vanishing Hero Nov 28, 1963 Harold's image of his father is shattered by a visiting athlete's boast that he once 'licked' George when they were children. Hazel's Nest Egg Dec 19, 1963 Harold's friend wants to pass the membership test to join the boyscouts so in steps Hazel to help him. Hazel and the Halfback Dec 26, 1963 Hazel is putting on a trick bowling exhibition at the bowling alley and tries to get Frank Gifford to attend. Hot Potato a la Hazel Jan 9, 1964 The owner of a china shop becomes Hazel's matchmaking victim when she tries to get him and her good friend married. Scheherezade and Her Frying Pan (1) Jan 16, 1964 While in Malibu, Hazel and her friend Gracie get mixed up with gangsters. Gracie's employer is a gangster and a meeting is scheduled at his home which is where Hazel and Gracie become prisoners. Scheherezade and Her Frying Pan (2) Jan 23, 1964 Being held prisoner, Hazel and Gracie concoct a plan to get help. This leads to some close calls as Hazel plans to slip tranquilizers into the gangster's scrambled eggs. The Fashion Show Jan 30, 1964 Dorothy is scheduled to appear in a fashion show as a model but when she sprains her ankle, Hazel must take her place. 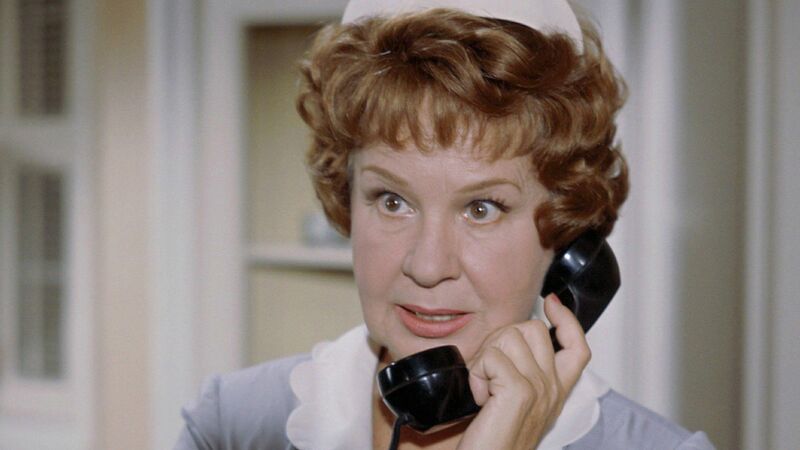 George's Ordeal Feb 6, 1964 Hazel makes a bet with Rosie, which puts George in immediate danger, he's got to go on a diet to lose 10 pounds or Hazel loses. The Reluctant Witness Feb 13, 1964 Dorothy, an interior decorator, is having problems with her latest customer. The woman is unhappy with her work and brings a lawsuit against her. Democracy at Work Feb 20, 1964 Hazel wants a raise and does her best to try to convince George that she deserves one. The Countess Feb 27, 1964 Hazel is in for a shock, she's just inherited the estate of a countess as well as the title. Hazel's Midas Touch Mar 5, 1964 George goes all out trying to convince a wealthy socialite to donate his art collection to the art museum. Everybody's a Comedian Mar 12, 1964 Hazel adamantly refuses to entertain George's suggestion that she get a pair of glasses. All Mixed Up Mar 19, 1964 A new TV commercial for cake mix is being made and a spokewoman is needed to sell it, the director's choice, Hazel. Arrivederci, Mr. B. Mar 26, 1964 A non-English speaking Italian girl is trying to keep her baby after her husband goes into the army and his snooty mother-in-law tries to take it from her. Hazel steps in to offer some aide. Such a Nice Little Man Apr 2, 1964 George becomes convinced that the new handyman the Johnsons have hired is a thief. 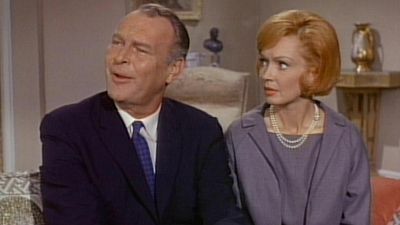 Campaign Manager Apr 9, 1964 Hazel tries to convince George that he would be the perfect candidate for city councilman. Let's Get Away From it All Apr 16, 1964 The owner of an Italian restaurant needs some extra help since his wife is pregnant, thus Hazel and the Baxters get jobs in the restaurant. Maid for a Day Apr 23, 1964 George's sister is cast as a maid in a play and Hazel becomes her coach since being a maid is her profession.